If any farmer wants to sell their agricultural produce at MSP, then he must make online registration of crops at Meri Fasal Mera Byora Portal. 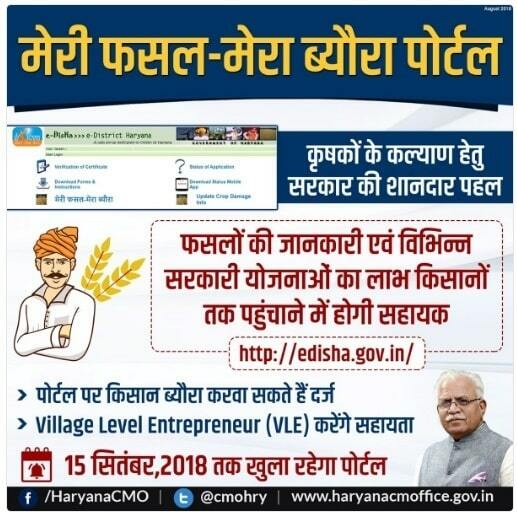 VLEs can carry out the work of making kharif crop registrations online in haryana. For this, each VLE will get Rs. 5 per khevat which would be provided directly into their bank accounts. At this recently launched portal, Kharif crop details of farmers can be registered by 15 September 2018. 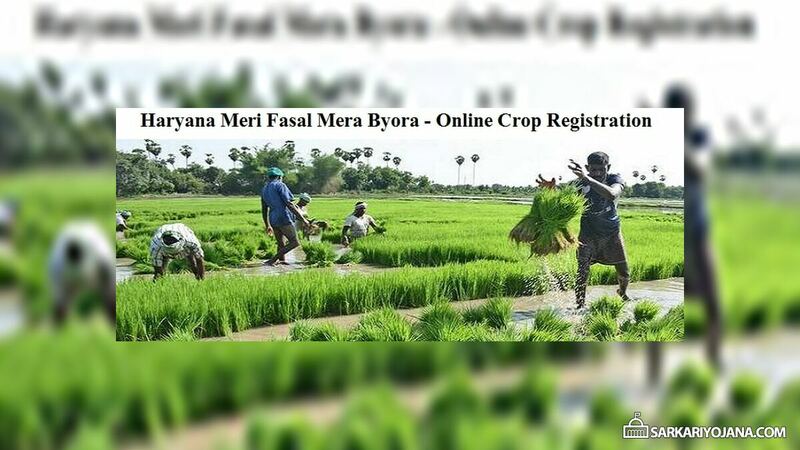 Here farmers can make online registration for Kharif Crops and submit crop details. All these details for Online Registration of Kharif Crops can either be filled by the VLEs or by farmers itself. Information received on this portal can be shared with farmers and Agriculture and Farmers Welfare department. All the information uploaded by the farmers cannot be used in any other legal claim. Patwaris would share data related to Jamabandhi. This process will ease down the crops procurement procedure. Recently the state govt. has launched state level Fasal e-Soochna portal to give info. related to crops sown under Kharif Crops 2018. This will enable the farmers to get benefit of various government schemes. In this connection, a workshop has also been organised in Hisar to give its information and impart training to VLE, he added.